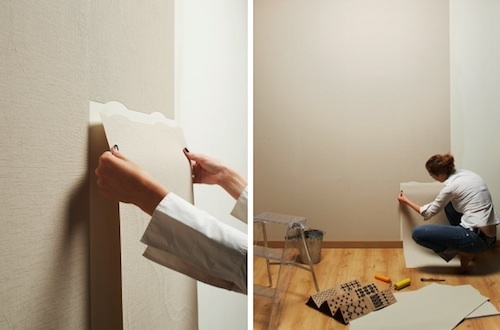 If you plan to make repairs in the apartment andWant in the shortest time to transform the interior, then one of the fastest and most convenient solutions will be to paste self-adhesive wallpaper. 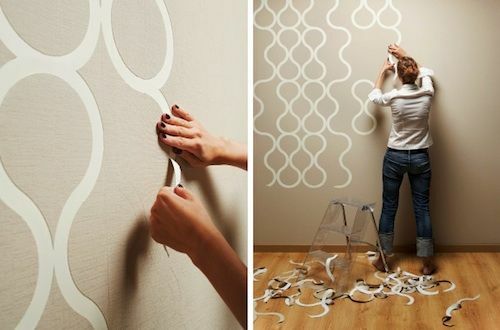 Designers of the Latvian studio Znak released unusual self-adhesive wallpaper with a thoughtful perforation, thanks to which you can tear off pieces of film right in the process of pasting walls, creating a unique ornament! 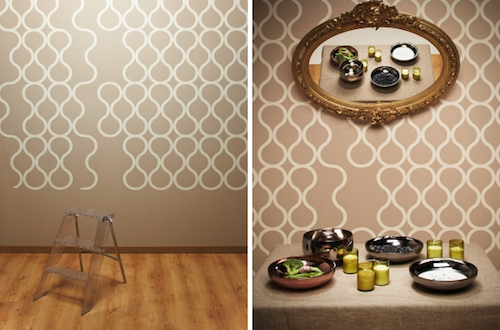 The wallpaper is a self-adhesive film withA pleasant rough texture that resembles a woven fabric. Perforation is made in the form of smoothly curved lines, reminiscent of interconnected figures. 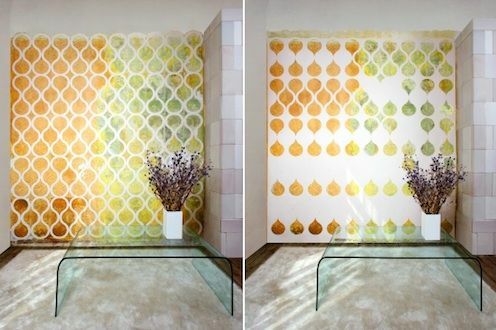 For a truly unique wall decoration, the color and texture of the surface under the wallpaper is very important. 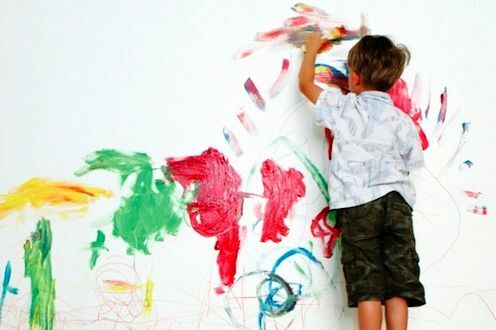 For example, you can finally allow the child to paint the wall in the children's room with paints. Fortunately there will be no limit! 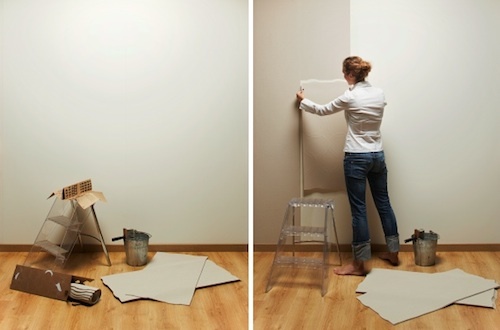 Then stick the Znak self-adhesive wallpaper over the picture and tear off the pieces by perforation. As a result, a very interesting element of interior design will turn out, exactly the only one in its copy. 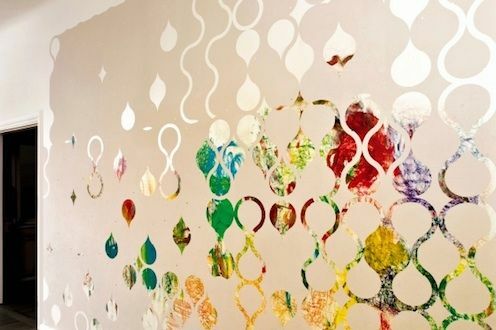 You can tear off as thin lines, leaving more glued space, and large elements of perforation, creating a light tracery ornament on top of a multi-colored or monochrome wall, a window or a mirror! 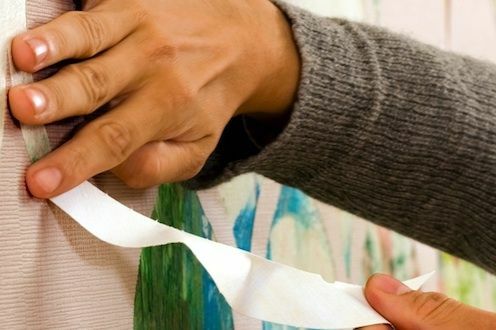 Of course, if you independently paste wallpapers to perform other repair work is difficult, then there is always the opportunity to make repairs using the services of professionals, such as - http://comfortdeluxe.com.ua/. 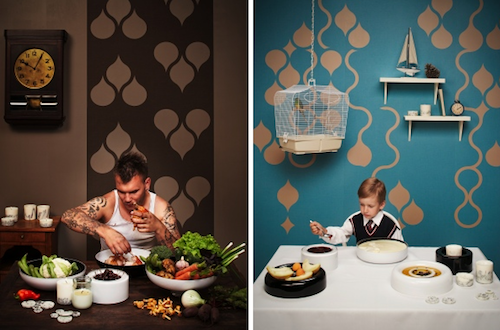 A series of these unusual wallpapers, called "TearsOff ", was created by young guys from Znak in collaboration with the popular Dutch concept artist Aldo Kroese and the German design duo Studio Hausen.